In a competitive market and after a bit of research, we went with In-Toto. We liked their design and the team seemed friendly. If everything goes to plan, I'm sure it would be a fine experience. But, as soon as anything goes wrong (and it did on so many levels), it becomes a nightmare. We've been trying to reach a resolution with this company privately for several months. We said we did not want to leave negative reviews as we understood how damaging it could be for a business. But their half-hearted and incredibly slow replies has not got us anywhere. Not even acknowledging serious complaint emails is a failing of basic customer service. Our last email to them was 6 days ago. Still no response. We are sorry to discover you are not happy with the service you received. in-toto is a franchised business with many showrooms across the UK. Please contact us directly at Head Office with full details of where you bought your kitchen so we can look into your issue. Head Office contact details can be found on the in-toto website. Are you serious? I don't think you can be very sorry as we *have* been dealing with head office – or we've been trying to. Head office has not replied to our email I mention above (from 25 July), nor our follow-up letter sent on 3 August. Six members of your company were copied in. Not a single reply. 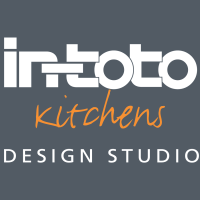 We moved in to a house with an Intoto kitchen already in situ. There were clear issues with installation, notably the existing cooker hood which was vented incorrectly and so never worked effectively. 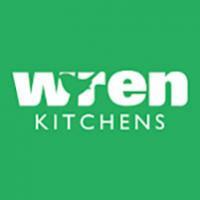 We paid the local Woking showroom a visit when we decided to upgrade the kitchen for a new one. We spent an hour in the showroom but the person there seemed disinterested and seemed to take offence when I mentioned that we had an Intoto Kitchen already that had installation issues.